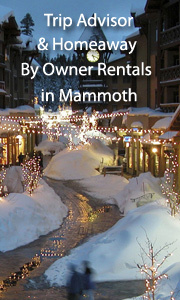 Check out our great Hotel picks and by owner vacation rentals for Mammoth! 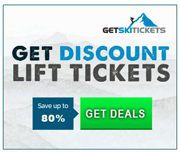 We offer discounts on ski tickets, ski rentals, lodging, by owner rentals (mostly ski in and out), and apres ski ideas for Mammoth, California. Mammoth Mountain Ski Resort is dear to my heart as where I skiied and skiied as a teeanager - looking much like those snow bunnies depicted here! It has a huge long ski season - closing in June and even July! Spring skiing is long and amazing. Mammoth Mountain makes a special effort to reach out to snowboarders - with new offerings for them every year - but definitely including a Super Pipe and a Super Duper Pipe. Go to the top and jump off the Cornice, holding your breath... and think of me! 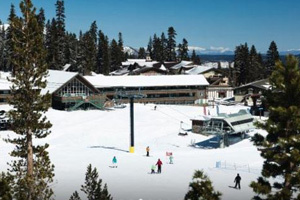 See All Our Great Listings for Hotels in Mammoth Mountain! Featured: Mammoth Mountain Inn - Book it! See our selection of great ski in and out Vacation Rentals in Mammoth! Featured: Ultimate Mammoth Condo, Summit Grand Bldg, Walk to Eagle, Dog Friendly - One Bedroom- 1 Bathroom - Sleeps 4 - Ave $112/nt-- Book it! 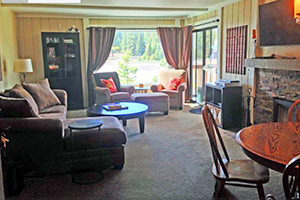 Our condo is perfectly suited for both your romantic and your family vacation. We take pride in our owner-operated unit and want to provide you an experience above and beyond your typical Mammoth rental. Read more! 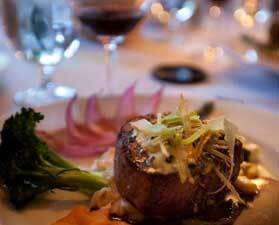 Great Apres Ski Ideas for Mammoth- here's one! The Restaurant at Convict Lake- map- "Wonderful meal in a beautiful setting - While on a recent camping trip, we splurged and had dinner here with our son and daughter-in-law. We got to the restaurant a little before our reservation, so we sat in the bar for a glass of wine. Tucked in the Inyo National Forest along the east side of the Sierra Nevada is Mammoth Mountain. 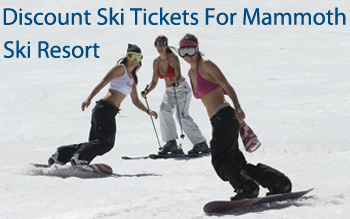 Mammoth is renowned for its long ski season; open from November through June, and has even stayed open until July 4th. Served by 28 lifts, including three gondolas, the resort offers up a 3,500 acres of terrain for skiers and riders of all levels. There are eight terrain parks for the park lovers, and even a Super-Duper pipe (one of the few in the world). Mammoth is the only resort in North America to offer three different-sized halfpipes.